The H2 Clipper is a high-speed, high-altitude, multi-mission hydrogen-powered dirigible that uses no fossil fuels and has a host of military, commercial, and humanitarian applications. The dirigible is the key to the military and civilian sectors’ ability to achieve energy security, cut carbon emissions, and slash the high cost of air transportation. Of critical importance to automakers and the fuel cell industry, the H2 Clipper can be used to transport hydrogen to the growing network of hydrogen fueling stations, eliminating the need for costly transport of hydrogen in its liquefied form or through expensive new pipeline networks. Development of the H2 Clipper will spark new technologies and domestic manufacturing and service industries, much as the U.S. space program sparked Silicon Valley’s computer chip industry that in turn spun off other industries, creating a ripple effect of job creation. Low-cost luxury travel; onboard restaurants, full reclining seats, staterooms, etc. The H2 Clipper will greatly expand the capability of the Department of Defense (DoD) to fulfill its mission and respond to unpredictable threats in areas of the world with limited or non-existent airfields, roads, ports, and other infrastructure, as well as limited or non-existent energy supplies. Because the H2 Clipper will be a low-cost way to lift and transport hundreds of thousands of pounds of fuel, personnel, equipment, sensors, weapons, and other supplies, it will enable DoD to slash its dangerous and costly dependence on oil. The H2 Clipper crosses multiple areas of military responsibility. It can serve as a single platform for joint operations, reducing the need for each service to have its own high-altitude sensor platform. The H2 Clipper will assist DoD in surpassing its 10-year goal of achieving a 90% increase in its unmanned Intelligence, Surveillance, and Reconnaissance (ISR) capabilities while reducing its budget by $400 billion over the same time period. The H2 Clipper can also serve as a command, control and communication platform, data collection and analysis link, and a GPS/satellite relay station. For every 24 military fuel convoys in Afghanistan and Iraq, one solder or Marine is killed or wounded, according to a U.S. Army study. Former Defense Secretary Robert M. Gates identified energy as one of DoD’s top 25 transformational priorities, and the 2010 Quadrennial Defense Review addressed energy for the first time as a strategic issue. More than 3,000 U.S. soldiers or contractors have been killed or wounded in fuel convoys in Iraq and Afghanistan – 60 percent of all combat deaths in the two wars. Soldiers now carry about 30 lbs. of batteries in the field. “Comparable fuel cell power systems for soldiers weigh in at just 5 lbs.,” according to the Fuel Cell & Hydrogen Energy Association. DoD is the largest single oil consumer in the world. The H2 Clipper will assist the Department of Defense (DoD) in surpassing its 10-year goal of achieving a 90% increase in its unmanned Intelligence, Surveillance, and Reconnaissance (ISR) capabilities while reducing its budget by $400 billion over the same time period. The 2012 DoD budget earmarks $4.8 billion for ISR vehicles, but there has been marginal investment in the exploration of innovative solutions that can increase capabilities by orders of magnitude. To date, DoD’s projects to increase its energy options for expanding its ISR capability through airships do not exploit the considerable potential of hydrogen dirigibles. The current approach brings with it an inherent and unwanted risk based on single helium-based solution. In its ISR role, H2 Clipper’s surveillance footprint at altitude in a fixed position will cover an area of nearly 500,000 square miles. At an air speed of 350 knots or more, it will provide aerial surveillance coverage in just three hours for an area equal in size to the whole Mediterranean. This will drastically reduce the need for other surveillance assets, substantially reducing costs while providing an extremely versatile capability. If helium airship projects prove only marginally successful or even worse, unsuccessful, DoD will have wasted significant funding and political capital in an ill-fated attempt to improve capability and decrease energy dependence. An alternative solution will decrease overall project risk while potentially achieving what could be game-changing capabilities. The inherent lifting capability of hydrogen and its boundless supply make the H2 Clipper an attractive solution. Existing helium-powered alternatives recently claimed the ability to eliminate the need for 25 fixed-wing ISR vehicles. By extrapolation, each H2 Clipper could eliminate the need for 250 such vehicles. The H2 Clipper’s ability to operate without airfields or expensive infrastructure and to move freight or passengers great distances dramatically below operating costs of conventional aircraft makes it an invaluable asset for humanitarian applications. The devastation from recent floods and tornados in the Midwest; wildfires in Texas, Arizona, and Oklahoma; the nuclear reactor meltdown in Fukushima; and earthquake in Haiti all point to the need for a quicker, more robust humanitarian relief and response capabilities. The H2 Clipper is ideally suited for such missions and for providing medical supplies, food, water and other ongoing aid in hard-to-reach areas with inadequate roads and infrastructure. Landing in crisis area only requires an open field slightly longer than the H2 Clipper’s length. No ground crew or infrastructure needed. The H2 Clipper can transport hundreds of thousands of gallons of water for fire, drought, and disasters. 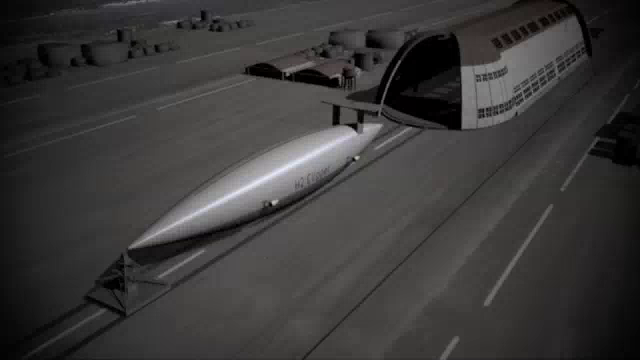 One unique version, the Hydrolifter, will act as a mobile elevator platform that uses almost no energy carrying hundreds of thousands of gallons of water to virtually any altitude or place on the planet. This application is particularly vital in disaster areas, and as a way to bring interim relief to the hundreds of millions of people on the planet who now depend on disappearing glacial melt waters for survival who will eventually have to migrate to lower altitudes. The Hydrolifter could transport water to their villages at a cost far less than in the cost of a new conventional water system that would require prohibitive uphill pumping of fresh water.